Can a human-centred design approach to group antenatal care improve women’s pregnancy and birth experiences? By Priyam Sharda, Design Research Lead for M4ID and Shafia Rashid, Principal Technical Adviser for Management Sciences for Health. Photos by M4ID. “For the first three months, the baby is just blood. 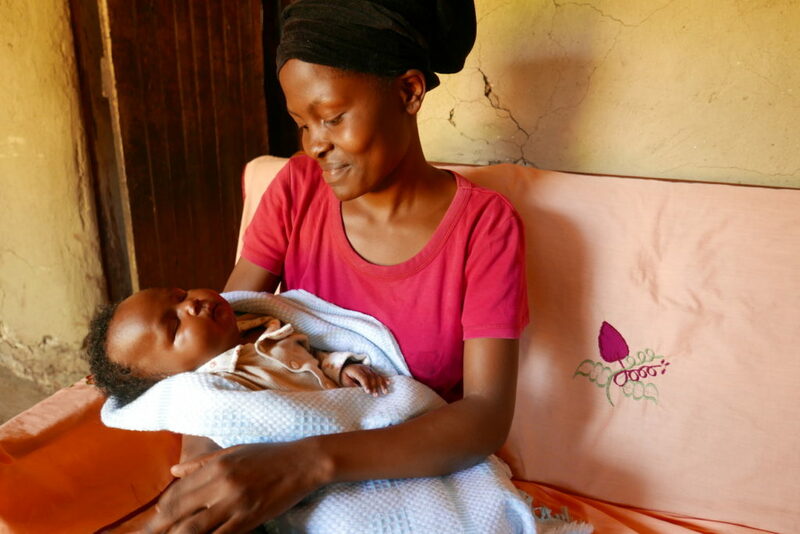 There’s nothing there to take care of,” said one Kenyan father-to-be in Kakamega County, Western Kenya, where we were meeting with communities and health providers to learn about their attitudes on women’s health, pregnancy, and care at health facilities. Using insights from these community discussions, Management Sciences for Health (MSH) worked with M4ID, a social impact design company specialising in development and health, to develop a group antenatal care model that meets the needs of young women, adolescent girls (ages 10–24), and health providers. 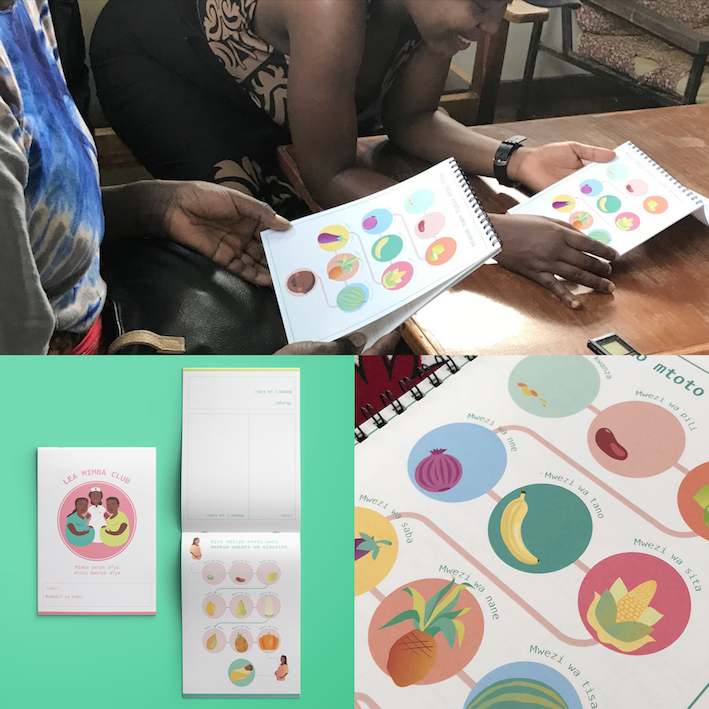 With support from the County Innovation Challenge Fund program of the UK government, the Lea Mimba project (“take care of your pregnancy” in Swahili) used human-centred design to adapt a successful pregnancy club model that MSH and M4ID developed together in the Eastern Ugandan communities of Mbale and Bududa in 2016. 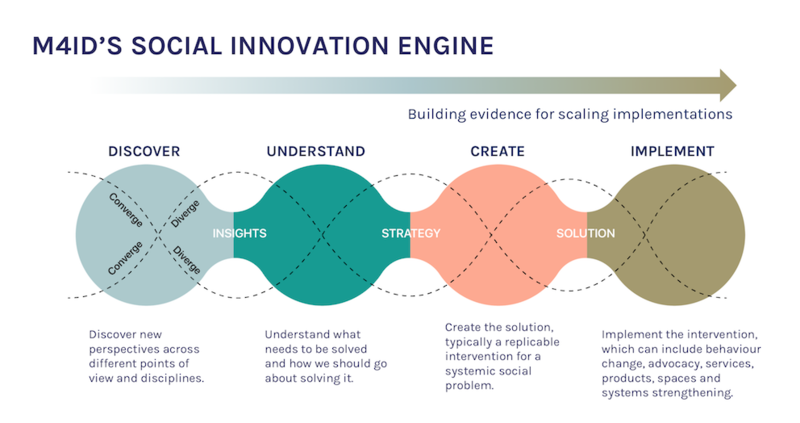 We use human-centred design to create solutions that address health and development challenges. Communities actively engage in each step of the process to ensure solutions are culturally relevant and meet their needs. Starting antenatal care early in pregnancy is critical for protecting the health and well-being of women and their babies, but in Western Kenya, only about 20 percent of pregnant women attend their first visit before the fourth month of pregnancy (DHS 2014). Through antenatal care visits, health providers can detect and treat pregnancy-related complications, such as preeclampsia and anaemia, before they become life threatening. And antenatal care visits provide opportunities for health providers to encourage women to deliver their babies with skilled birth attendants and to promote breastfeeding and other healthy postnatal behaviours. Yet, traditional one-on-one antenatal care often does not meet women’s and adolescents’ needs for information, support, and high-quality clinical care. In Kakamega County, women often must wake up around 7:00 AM to go to the clinic, only to spend most of their time there in the waiting room. During standard antenatal care visits, providers often spend between 10 and 15 minutes with each woman. When she is an adolescent or pregnant for the first time, adequate time to learn and understand health information is especially essential. In recent years, group care models have emerged in low-income countries as a promising approach to provide high-quality antenatal care and promote social support among women during pregnancy. Women go through pregnancy as a cohort, learning through discussion and building bonds with each other and their antenatal care providers. We asked community members, potential clients and providers about how women experience pregnancy and health care in their communities and how health providers deliver that care. We learned that several barriers continue to disrupt women’s and adolescents’ access to care, including lack of high-quality services and information, limited individual and community awareness and support, and low male engagement, among others. Several actors — including recently pregnant peers, midwives, community health volunteers, male partners, and mothers-in-law — influence a woman’s decision to use antenatal care services. Peers are an important early source of information, as doctors and other authority figures are considered difficult to approach. Mothers-in-law might uphold traditional, cultural beliefs that prevent suggested behaviour change, while male partners provide the money or transportation to visit the clinic. We also learned that pregnancy is only socially acknowledged towards the end of the second trimester, deterring women from going to the health facility early in their pregnancy. 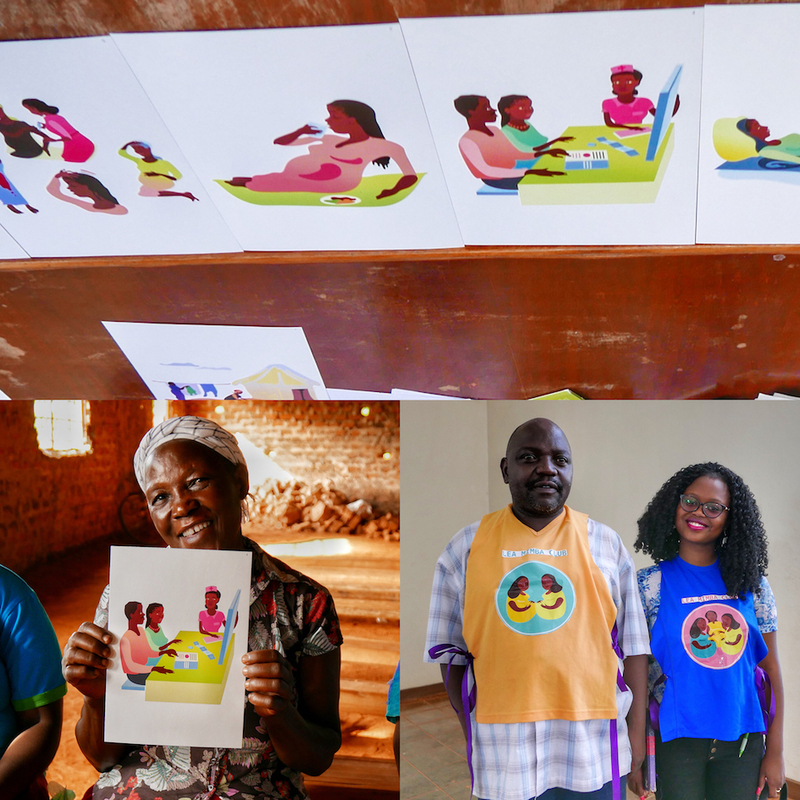 Community members share their perceptions of pregnancy and antenatal care and share ideas for making visual aids more culturally relevant. While all of these influencers care about the baby’s health, they generally believe a woman’s health is secondary. Therefore, our research highlighted the critical need to help community members understand the link between antenatal care and a woman’s and baby’s health. Based on our discussions with community members, we realised the need to emphasise the link between a woman’s health and that of her baby. 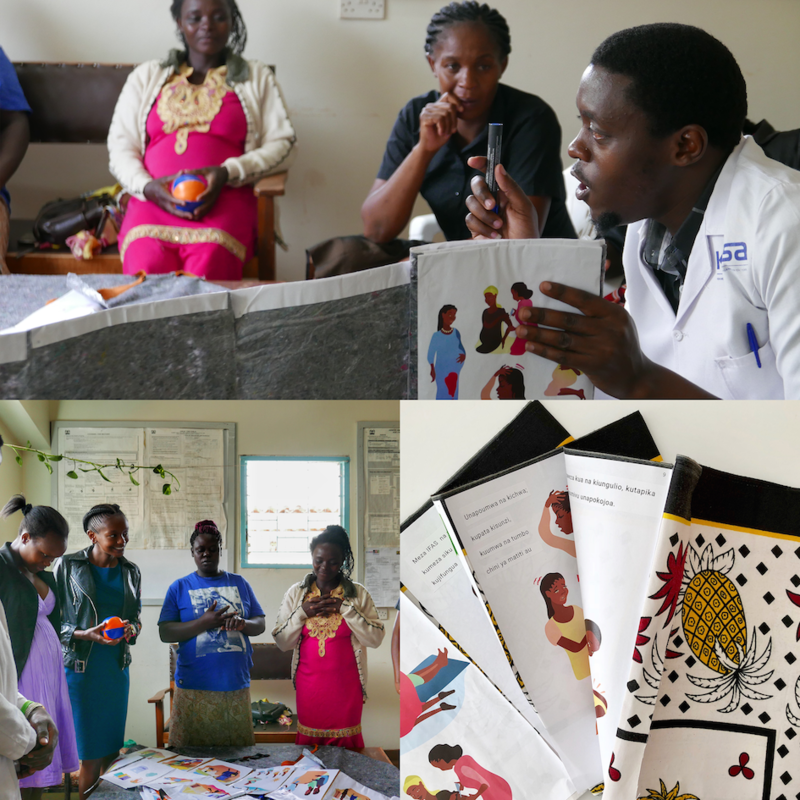 When designing the group antenatal care model in Kenya, as in Uganda, we wanted to ensure that it improved the pregnancy and birth experience of the women participants, while enhancing — not burdening — the workflow of the health providers. 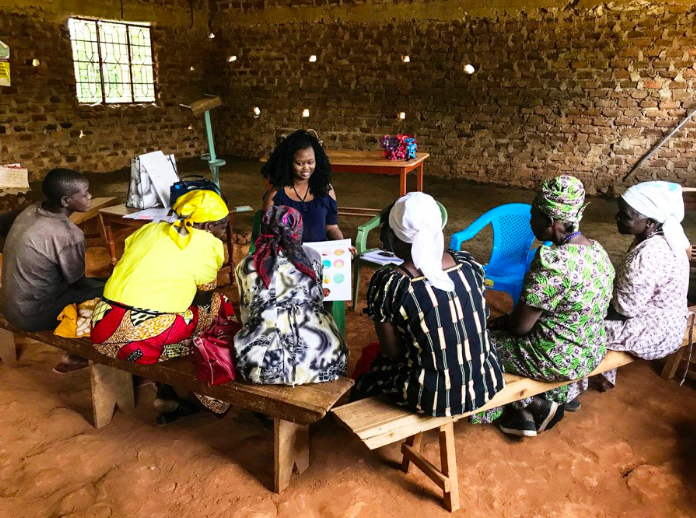 As a result of these discussions, and building on our experience forming groups in Uganda, we engaged women and providers in the creation of the Lea Mimba pregnancy club in Kenya. The calendar contains a health record and useful visuals that help women to track their own and their baby’s health. We adapted the Uganda group ANC curriculum to comply with national standards and guidelines for maternal and newborn health, while meeting current WHO recommendations of eight antenatal care contacts. We also incorporated elements of self-care where women participate in taking their weight and recording their blood pressure, and facilitators encouraged women to build relationships and meet with club members outside of group sessions. To support the group model, we collaborated with local midwives and health staff to develop a package of implementation materials, including a training curriculum, health provider job aids, visual and tactile materials, supervision and monitoring tools, and community engagement tools, which can be adapted for use in other settings. Designed to suit the Kenyan context, the message scroll allows the midwife to show one visual at a time. Posters, flyers, and aprons were also designed to spark public interest on the Lea Mimba Club and its functions. We observed and requested feedback from women and providers who participated in mock pregnancy club sessions. In these mock session, participants commented on their experiences engaging in or leading the sessions, their understanding of the health topics, and the usefulness and relevance of the implementation materials. During these sessions, we noticed that some women were initially quiet, but they became more involved when health providers told stories or invited participants to sing songs that convey health messages. Women passed around a ball to indicate their turn to speak, and at times, they even asked for the ball. Listen to the Lea Mimba Pregnancy Club Song : Lea Mimba Club participants sing a song with the message that healthy pregnancies ensure children’s health. Recording by M4ID. After these mock sessions, women participants continued to talk about what they learned as they waited for their individual appointments with midwives. Group participants agreed that it would be easiest to attend sessions on market days, and midwives recommended that sessions take place in afternoons when clinics are less crowded. Midwives noted that the group format also saved them time, so they could share more advice and information than was possible during one-to-one antenatal care appointments. Based on these observations and comments from the mock session participants, we revised the session structure and accompanying materials. 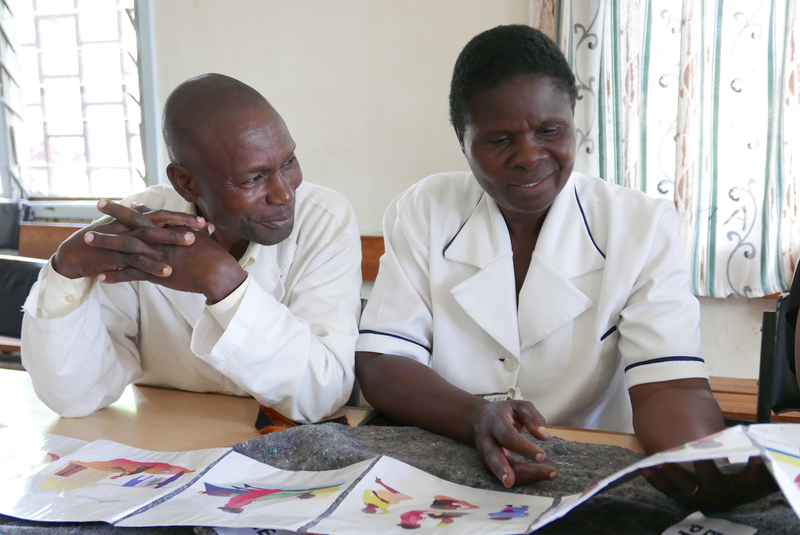 Health providers review the Lea Mimba message scrolls and share their thoughts on the usefulness of these tools. We have started pregnancy clubs in six facilities in Kakamega county. Groups consist of 8 to 10 women of similar gestational ages, and we emphasise that each club session is a confidential and safe space for women to share about their pregnancies, so they do not have to declare their pregnancy to the community before they are ready. As health facilities host pregnancy clubs, we will continue to engage community members in discussions on the importance of antenatal care for healthy women and babies and encourage them to refer women to their local Lea Mimba pregnancy club. To Learn More about our partner, MSH, please visit msh.org.